American suspect in the unsolved murders of her wealthy father and step-mother. 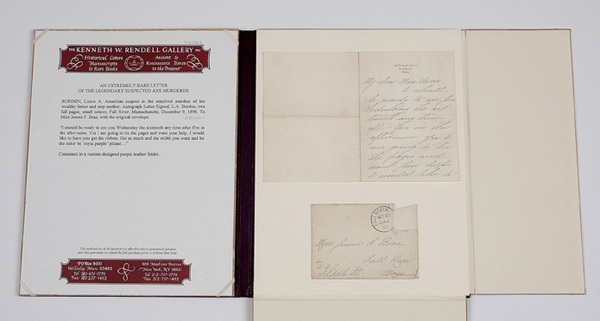 Autograph Letter Signed, L.A. Borden, two full pages, small octavo, Fall River, Massachusetts, December 9, 1896. 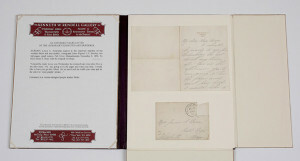 To Miss Jennie F. Bras, with the original envelope. Contained in a custom-designed purple leather folder.